Editing a film is plenty of work, and often recognized as a great art. But what about those people that put you in the seats? I am of course talking about those creative editors that put together some of the most Epic Trailers we have seen. How many times have you seen a trailer and said “ that looks amazing”? Editors that often cut trailers, don’t get enough recognition. These are people who work hard at putting together an engaging , and epic story, that will fill theater seats. Would the recent film Avengers be as popular with out any trailers ? Editing trailers is an art form of it’s own. 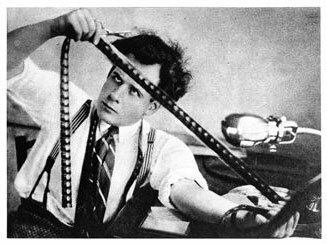 Many times editors don’t even have a final film completed to edit with. We often see trailers many months, and in the case of teasers a year ahead of schedule. Editors are given a certain amount of footage depending on what is available, and a time slot to create usually 2 min theatrical trailer and a 30 second TV spot. This means the editor has to be very creative in their art to sell the film. I have edited trailers and EPKs ( Electronic Press Kits). When I am asked to edit a trailer I find myself excited at the venture. Often times I am given some footage, and a script or concept, and then left to be creative. This is a fantastic way to work, as often the finished trailer is a polished version of my initial cut. This means I have a greater amount of creative control over my edit. How many times have you seen a film and said to yourself “ the trailer was better than the film” ? The way I like to create a trailer is to show a small piece of the the pie to wet the appetite of the audience. I tend to use some of the best clips, but not all…you must leave some surprises in the film. Also I try to portray the genre accordingly. For instance you would not edit the Avengers trailer with a ton of dialogue scenes, nor would you edit The Great Gatsby with nothing but action. Remember to keep the tone of the film within your trailer. Editing trailers is a great art form, and can be a ton of fun. I think it’s about time we recognize that it is an essential part of selling a film, and with out these people we may not have the blockbusters of today, or independent film success. How many of you edit trailers? What are some of your tips for editing trailers? I can watch great trailers over and over and over again. I often wish, especially on comedies, that the actual had been cut with the same precision as the trailer. So kudos to the people who often make the best part of going to the movies. I used to edit trailers in Los Angeles. Two things. 1) Approach the trailer as if it were it’s own movie. Give it a hook beginning, a middle and and end. 2) Count on endless changes from the studio, and understand your end product will either be just right, or 180-degrees out of phase from what the film actually is. Those are some great tips. Especially, your approach to the trailer as it’s own film. That is a great way to look at it. I think countless revisions can get a little frustrating, but as you say… it really is a fun gig if you can get it.